When I first went to college, I remember meeting with my adviser and telling her immediately that my definite plan for after college was to get an MFA, so it’s always been in my consciousness somewhere. But through college, I sort of backed away from the idea and thought maybe a PhD might be better suited for me. Either way, I’ve always loved school and learning, so I knew grad school was in my future, but it wasn’t until I’d worked for a few years that I realized that the MFA was really the right program for me. I wanted space to write creatively, and to be part of a community of writers, but not at the expense of time reading and analyzing other works. My program was a great combination of the two, and fulfilled me in so many ways, both emotionally and educationally. My work, and perhaps more importantly, my ability to work, improved immensely during the program, and I also know I’m much more well-read than I was before I entered it. I was introduced to so many incredible poets through the program – both poets attending and the poets we were reading – and my life is much richer because of it. You’ve worked for Oxford University Press in a couple of different roles, and from what you’ve told me, it sounds like you think of your work there in editing and marketing as a direct outgrowth of your MFA. Can you talk a little bit more about that? I moved into marketing after I finished my MFA, and I do think it was directly related. After I finished the degree, I was at a bit of a standstill, and wasn’t sure where to go from there. I wanted to teach, but as everyone knows, it’s pretty tough to find full-time teaching work out there, and I also wanted to use my writing skills more often. My position in marketing involves both of these things: I write every day, putting together catalogues, email promotions, and the back covers for many of our textbooks, and I consider the work I do to be educating professors about our books. It helps that the items I’m promoting are educational in nature, and that I really believe in our mission statement and the products we sell! I also think that the MFA did teach me a little bit about hustling and selling, which has been invaluable as I’ve moved into the marketing world. We’re all writing into a bit of a void, and unless your work is strong and your personality is stronger, it can be really hard to have your voice heard. The MFA really made me feel as if what I had to say and write was worth pushing out there a bit, and I take that same idea into the work I do in marketing textbooks. Many people in the publishing world talk about discouraging creative young people—like those who majored in English and want to be writers—from entering the industry because, they say, the kind of critical thinking you enjoy as a literature student can’t be found in the publishing world anymore. Do you disagree? Why? I definitely disagree. I don’t have tons of experience in commercial publishing, but I know that there are many houses, including independent presses, but also certain imprints in the bigger publishing houses, that very much value what we think of a “literary” literature, and that sort of work doesn’t just fall onto your desk, it takes a lot of hard work and deep thought to find those works and then help them grow. I absolutely think it’s possible to find a place for critical thinking in the world of publishing today, and I think that has been becoming more true as the way we publish changes and we face a new frontier of the written word. I will say, though, that working in the industry can be a bit disheartening for some writers, and I can understand that. What we do is a business, after all, and it can be hard for writers to see what they love – books and literature – become a commodity instead of an object to be revered. It’s a personal choice, but I do think it’s a great idea for writers to get to know a little bit more about the industry, either through internships or networking events. A lot of writers who get MFAs in a traditional-residency program save their career concerns for the last year of the program, or for after graduation. What was it like to be pursuing the degree while still at work? How did you navigate between a day-job mindset and a writing mindset? In many ways, I do wish I had been able to focus 100% on my writing during my two years at NYU. It sounds like a really idyllic way to spend some time, and I know my writing would have benefited from it. I think for anyone who can do that financially, it’s the best option. That said, though, I am glad I worked through the program, because it helped set me up with habits that will be with me for the rest of my life, things like writing on my lunch break or making dates with other MFAers to send out submissions a few times a month. The writer who can truly devote all their time to writing is rare, and so being forced to make time for writing in the middle of my everyday life has really been a blessing. I’m also a bit of a worrier by nature, so it was nice not to have to wonder if I’d be able to find a job when I graduated. There were many days when it was difficult to fit everything in, and when I felt like I was failing at all aspects of my life, but on the days when everything fit together, I knew I had made the right decision. And for me, navigating between my career mindset and my writing mindset was mostly a matter of making the time for each. Because I had evening classes, I couldn’t stay late at work to finish anything up, so I found ways to be more productive during my work hours. The same was true of writing – because I only had a certain amount of time I could devote to it, I tried to make sure I made that time as productive as possible. I kept all of my materials in the same spot, so it was easy to find everything when I was ready to write, and I just got started and wrote for as long as I could each day. I also made myself take advantage of down-time more often than I ever had before. Some of my favorite poems were drafted on the subway home from school late at night. How has the way you carve out time for writing changed since completing the degree? I’ve tried to keep most of my good habits from school, so I still read and write on the subway and make the most of those little snippets of time we all have but often waste. I also found that having a deadline was one of the best things about the MFA for me – I had to have a new poem and have it in decent shape in time for workshop, so I’ve tried to mimic those things now by setting up poetry dates and mini-workshops with friends. I will say, though, that the summer after I graduated, I did almost nothing. I wrote very little, didn’t send out any submissions, and didn’t even look at my thesis. I was worried it meant I’d never write again, but I also felt like I had to honor my mind and not make myself crazy staring at blank paper when nothing was coming out, and so that was quite different. But starting in the late fall, I’ve gotten back on the horse bit by bit, and it’s felt so good to get back into that mindset. Has the MFA changed your professional aspirations in any way? I started the program with just two goals: write better and more often, and possibly get a teaching job. I was surprised to find at the end that while I loved teaching my creative writing class at NYU, I was also really happy with the idea of writing for a living and doing copywriting more seriously. It’s a turn I never expected my career to take, but since I’ve started it, I’m really quite enamored. I think before the program, I felt like copywriting wasn’t “real” writing, that it was just advertising and silly, but the program showed me that any form of writing can be valuable, and can help communicate important messages. I think the best thing I took away from the MFA, and the way it most changed my professional aspirations, is that it made a life in writing seem possible. Before the program, it felt like living through poetry was sort of a pipe dream, reserved just for a few tenured faculty at the best schools. The program showed me that there are so many different ways to live out the writing life, and realizing that was truly thrilling – I think it’s changed my entire career path. What advice do you have for writers thinking about getting an MFA or currently enrolled in a program, particularly those who might not want to give up their day jobs? Just that there are days when it will be incredibly difficult, and that they will get through those days even when it feels impossible, and that they will feel immensely rewarded at the end of it all. They won’t be able to do it all, but if they can find a way to forgive themselves for that, they’ll be able to do so much more than they ever imagined. 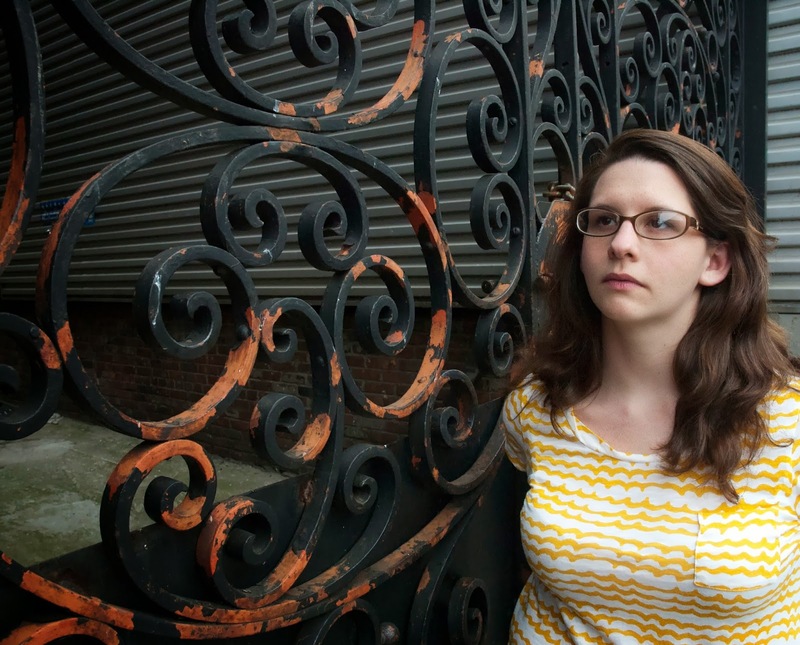 Kristin Maffei is a poet and copywriter living in New York City. She was educated at Sarah Lawrence College and the University of Oxford, and holds an MFA from New York University where she was a Goldwater Fellow in Poetry. To read her work, please visit www.kristinmaffei.com. This entry was posted in interviews and tagged copywriting, NYU, poetry, publishing by truncatedbiographer. Bookmark the permalink.